Dr. Roy Charles Hammond first made the personal goal of joining Utah Valley Radiology Associates while in college at Brigham Young University. He was excited to accomplish that goal in 2001 after graduating with Honors from medical school at the University of California, San Francisco and completing a Diagnostic Radiology residency and fellowship at the University of Utah. Dr. Hammond’s fellowship was in Body Imaging with an emphasis in Body and Musculoskeletal MRI. He is board-certified in Diagnostic Radiology. 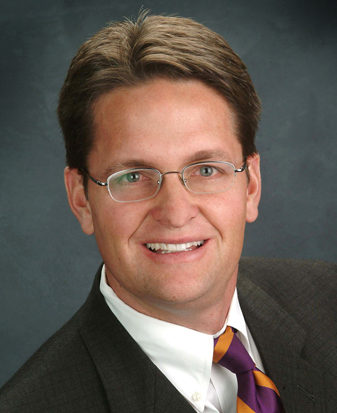 Dr. Hammond is currently the Director of MRI for UVRMC, American Fork Hospital and Orem Community Hospital. He also serves as the Medical Staff Secretary / Treasurer at UVRMC. Dr. Hammond’s current areas of special interest include MRI, coronary artery multi-detector CT angiography and digital mammography. He has been working with several of the cardiologists and radiologists on implementing the coronary artery CT angiography program at UVRMC. Dr. Hammond maintains professional membership in the American College of Radiology, Radiological Society of North America (RSNA), American Roentgen Ray Society, American Medical Association, Utah Medical Association and Huntsman- Intermountain Cancer Care Program. Dr. Hammond states that the best part of his job is the daily personal interactions with referring physicians and working through challenging cases with them. He loves being able to make a significant contribution to patient care. He also enjoy the constant intellectual stimulation provided by advances in medical imaging. Dr. Hammond met his wife of 12 years, Jennifer, while a radiology resident. They have four young children and make their home in Springville. He enjoys golfing, skiing, boating, movies and especially spending time with his wife and kids.